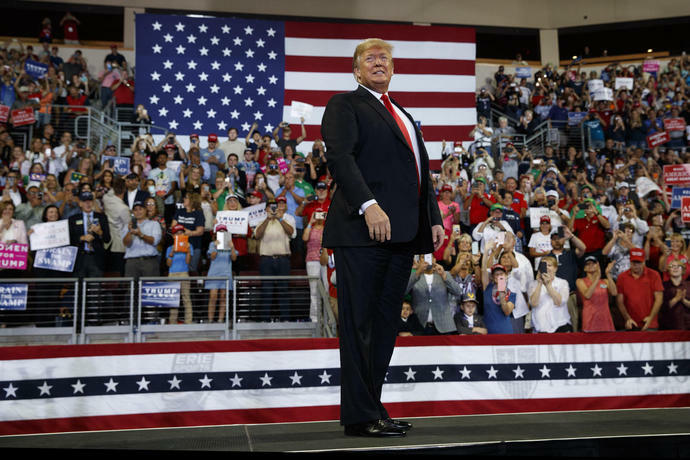 WASHINGTON (AP) -- President Donald Trump gazes out over his rally crowd and looses a stream of insults with a theatrical flourish and playful grin. He jabs at Cory Booker the "disaster" mayor, Elizabeth Warren the "Pocahontas" pretender and "sleepy" Joe Biden. The rallies - more than two dozen so far to boost GOP candidates - never fail to delight Trump's supporters.